On December 7,1941, the Japanese Imperial Navy launched 353 aircraft from six carriers,<?xml:namespace prefix = "st1" />1 in a surprise attack, against United States military installations on the island of Oahu, Hawaii. 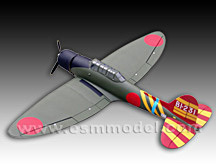 The aircraft included Mitsubishi A6M2s (Zero), Nakajima B5Ns (Kate) and Aichi D3As. The Aichi D3A led the first wave of attacks and was the first Japanese aircraft to bombs on American targets.2 129 Aichi D3A aircraft were used as part of the Japanese task force that attacked Pearl Harbor.3 Despite its obsolescence, the D3A took part in all major Japanese carrier operations in the first ten months of the war after the attack on Pearl harbor. Before the attack on Pearl Harbor, they saw only limited action from land bases in China and Indo-China. During the campaign in the Indian Ocean, D3As placed more than 82 per cent of their bombs on target during attacks on the cruisers, HMS Cornwall and HMS Dorsetshire and the carrier HMS Hermes in April 1942.4Inspired by the Heinkel He 70, the D3A was designed to supersede the D1A2, Navy Type 96 Carrier Bomber. The Navy ordered two prototypes with the first prototype being completed in December, 1937. The first prototype was the Nakajima D3N1, powered by the 730-hp Nakajima Hakari 1 radial engine but showed many shortcomings during initial flight-testing. It was found to be under-powered and had a tendency to snap roll in tight turns. The dive brakes were ineffective and vibrated violently when diving at 90 degrees. However, the aircraft did show promise because it had a strong airframe and the overall handling acteristics were good, with the exception to snap roll in tight turns. 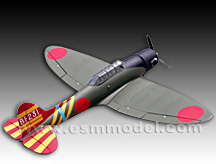 The second prototype was the Aichi D3A1, configured with a fixed landing gear to eliminate extra weight and maintenance problems of a retractable landing gear system. The Aichi prototype was extensively modified to overcome the shortcomings of the Nakajima design. Engine power was increased to 840 hp with a Mitsubishi Kinsei 3fourteen-cylinder radial engine, and a redesigned cowling was installed. The wing span was increased, the vertical stabilizer was enlarged, and improved dive brakes were installed. 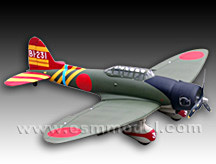 The better performing Aichi D3A1 was ed to go into production under the designation Navy Type 99 Carrier Bomber Model 11The production D3A1s engine power was increased with a 1,000 hp Mitsubishi Kinsei 43, engine, or 1,070 hp Kinsei 44, engine. 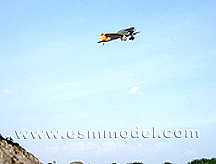 The wing area was decreased slightly and a large dorsal fin was installed to correct directional stability problems. 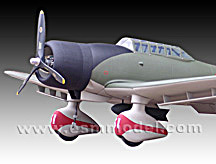 The aircraft was equipped with only two forward-firing 7.7 mm Type 97 machine-guns and one flexible rear-firing 7.7 mm Type 92 machine gun. The normal bomb load was a single 250 kg (551 lb) bomb carried under the fuselage, which swung down and forward on arms before release. Two additional 60 kg (132 lb) bombs could be carried on wing racks located under each wing outboard of the dive brakes. 6 In June 1942 the D3A was introduced and was powered by a 1,300 hp Kinsei 54 engine. The production version of the D3A2 featured an increased range to 915 miles (1,472 km) with a fuel capacity of 1,079 liters (237-4 Imp gal). Externally the aircraft was almost identical to the D3A1 with the exception of a propeller spinner and a rear canopy section that was longer and more pointed. It was designated Navy Type 99 Carrier Bomber Model 22 and began to replace the Model 11 in front-line units in the autumn of 1942. When the much faster Yokosuka Suisei became available, the D3A2s were relegated to land-based units and to those operating from the smaller carriers which had a deck inadequate for the Suisei's higher landing speed. In 1944 when the American forces returned to the Philippines the D3A2s took an active part in the bitter fighting but were hopelessly out performed and losses were heavy. 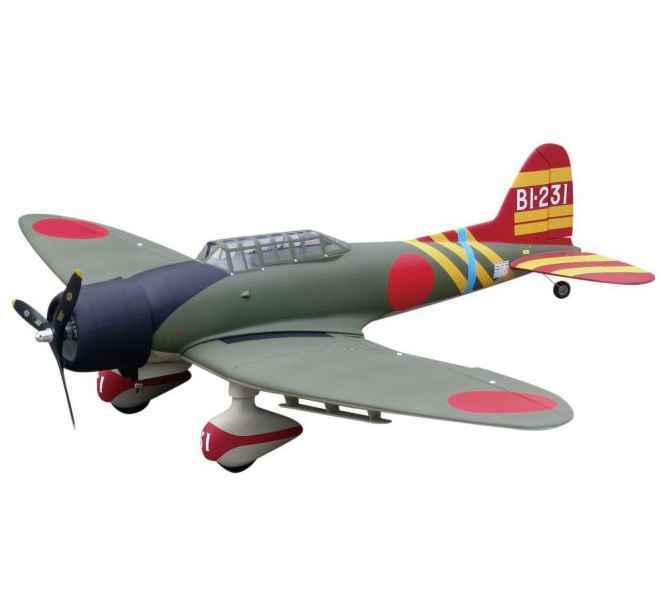 By then many D3A1s and D3A2s were operated by training units in Japan and several were modified as Navy Type 99 Bomber Trainer Model 12s (D3A2-K).7 During the last year of the war, D3A2s were mostly relegated to second-line duties. They also engaged in kamikaze attacks and experienced a high loss rate, with poor compensating results.